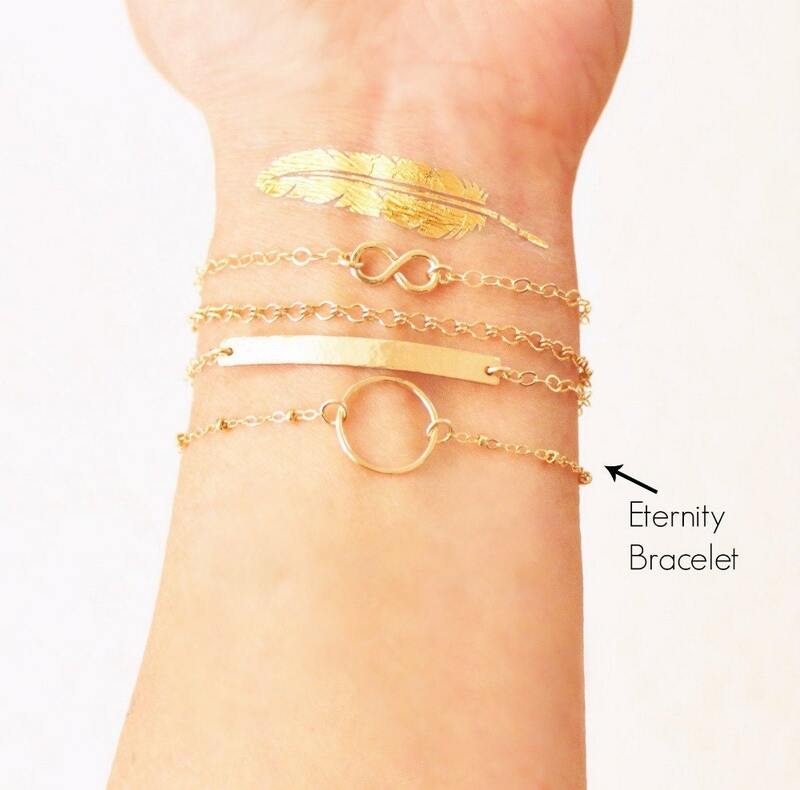 This eternity ring bracelet is the perfect reminder that some things are forever! 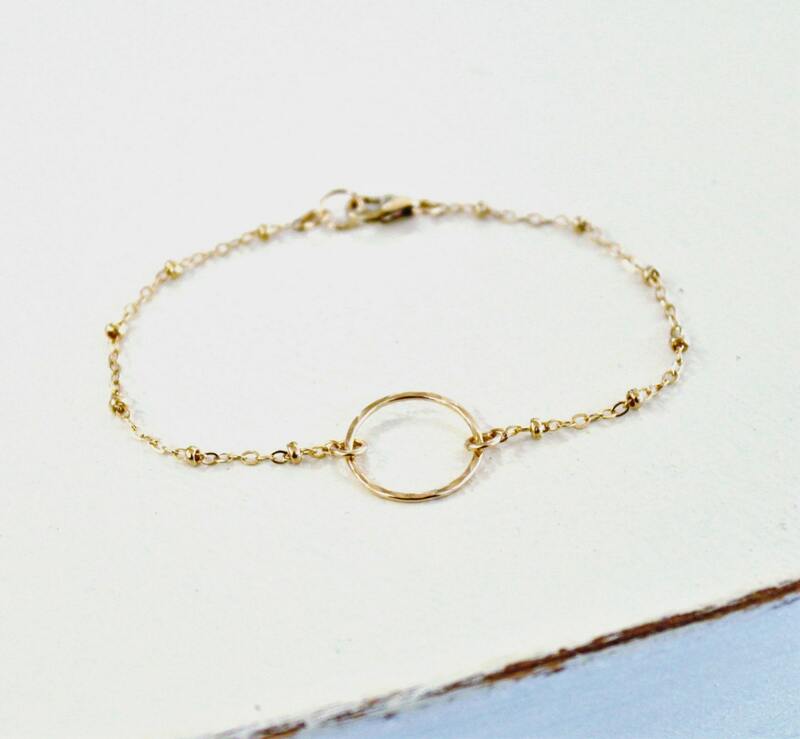 -Dainty 14mm Gold Filled Eternity Ring lightly hammered. This piece is wonderful to wear alone or layer with other pieces. 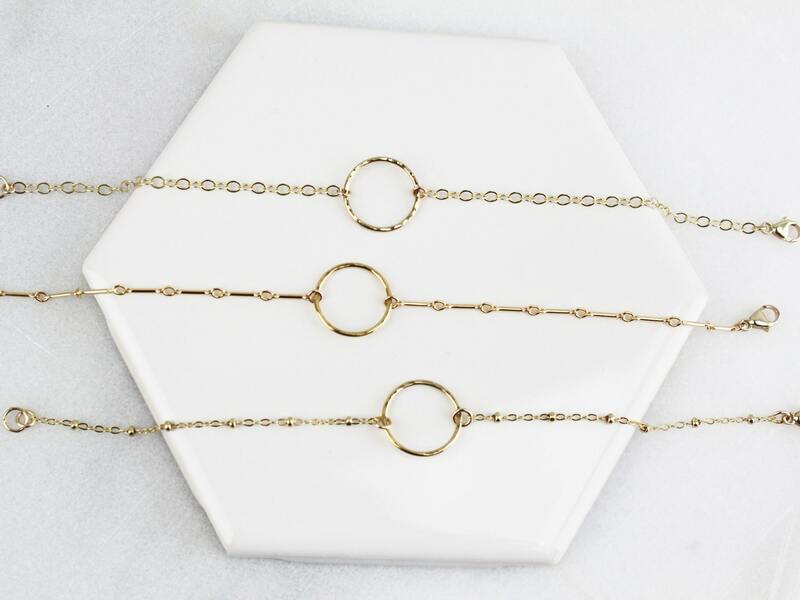 très joli bracelet, la maille est fine est originale, la taille parfaite, j'adore! I LOVE this little bracelet! It's my new favorite and I wear it every day. 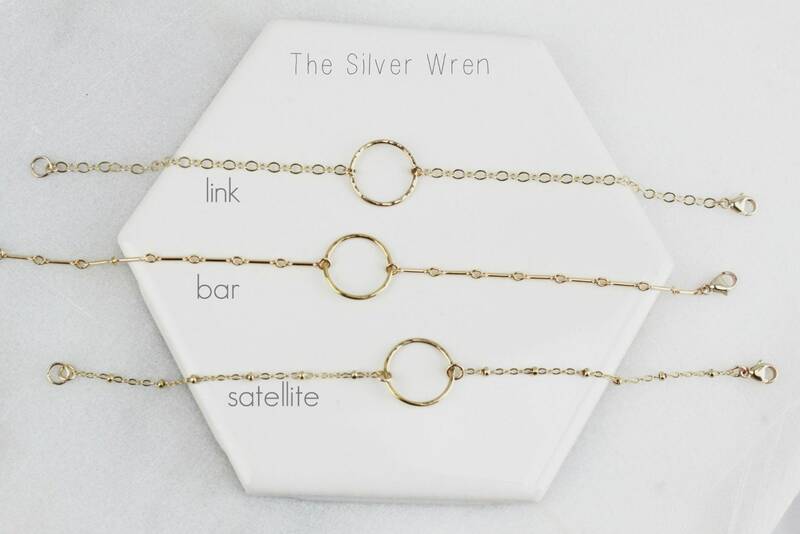 It's dainty, fits perfectly, and is beautifully done. Shipping was quick, as well, and it came in a thoughtful personalized little box with care materials, too.